Which Cut Flowers Last Longest? A beautiful bouquet of fresh cut flowers brings instant enjoyment to the beholder. They serve to express our deepest emotions, and convey our sincerest sentiments. ‘Get well’, ‘thank you’, ‘I’m sorry’, and ‘I love you’ are communicated simply by extending a blooming bundle of blossoms to your intended receiver. Cut flowers help us in celebrating special occasions and observing momentous events in our lives. Cut flowers make us feel great! Receiving beautiful and fragrant flowers is a joyful occurrence, especially if there is a significance to the gesture. Sometimes they represent so much more than is apparent at first glance. 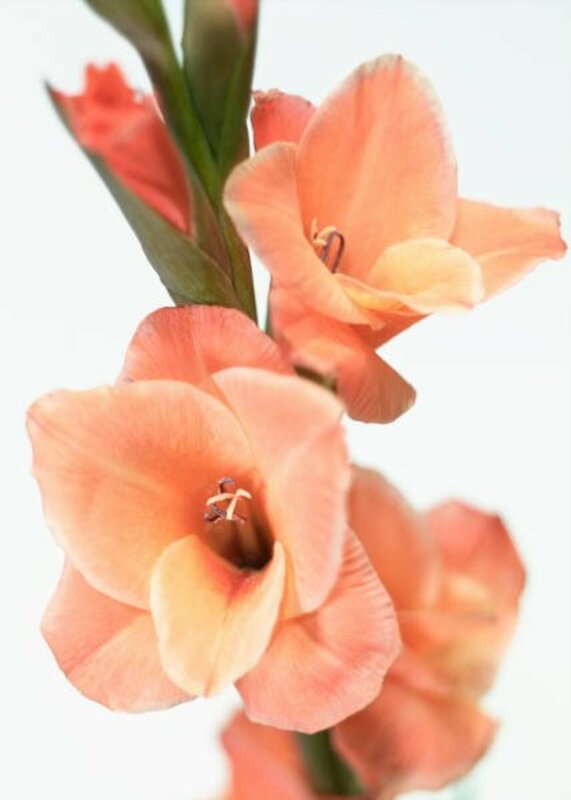 Unfortunately, once cut from the plant, the vibrancy and aroma of your flowers begin a slow decline, fade, and soon will be just a pleasant memory. Some cut flower species last longer than do others. Purchase price does not equal bloom duration. An expensive bouquet of Roses, although deliciously fragrant and elegant, do not possess the lasting power of other less expensive cut flowers. 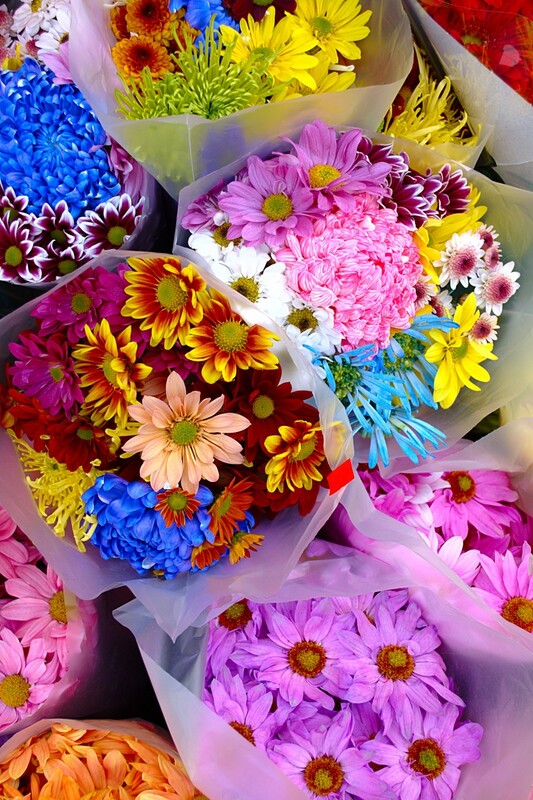 Protect your investment in cut flowers by choosing varieties that last the longest. This Hub focuses on six of the most popular fresh cut flowers. Tips and tricks are included to help to keep your beautiful bouquet happy, and blooming longer. Which types of pretty flowers are the most popular to use for cuts? 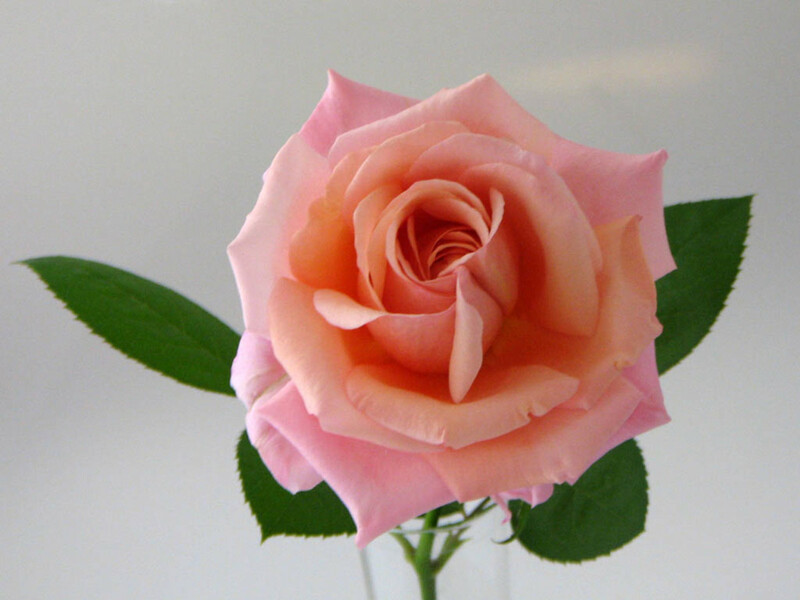 The Rose ~ The vase life of a Rose is 7 to 10 days, if you keep them in cool water. TIP: Buy roses with firm heads. Gently squeeze the bud and check for firmness. You want tight buds, so if there is any ‘give’, pass on that one. Roses greatly appreciate being cut under water. The stem can develop an air bubble otherwise. They 'take a breath' when cut, so if submerged under water, that first 'breath' that is 'inhaled' will be a beneficial drink. Then place in a water-filled vase. Save the Rose petals and create your own potpourri. The Orchid ~ The vase life of an Orchid is 14 to 21 days. 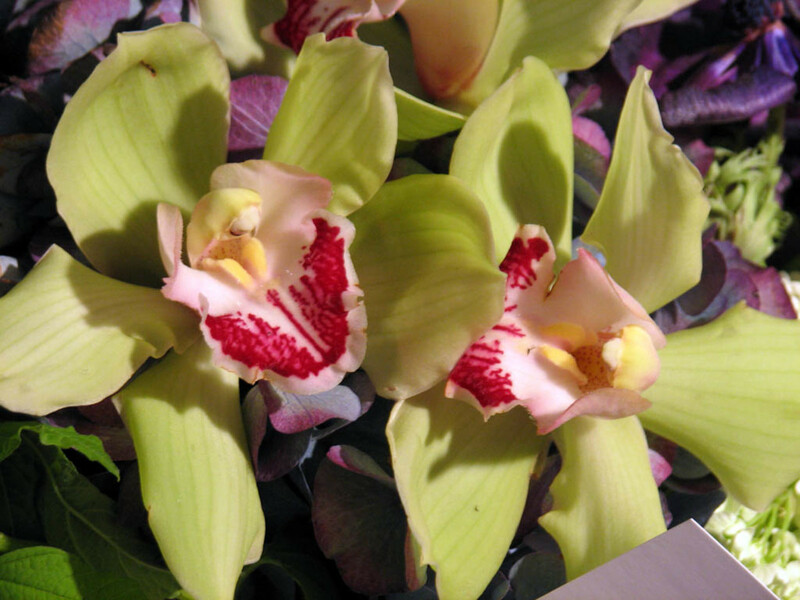 TIP: Trim Orchid stems and change their water everyday, or at least every second day. Remove all of the Orchid's faded flowers to restore energy back to the stem. Individual Orchid flowers may be displayed by being floated in a decorative dish with fresh water. The Carnation ~ The vase life of a Carnation is 14 to 21 days. TIP: Remove the foliage leaves and petals at water level and below. 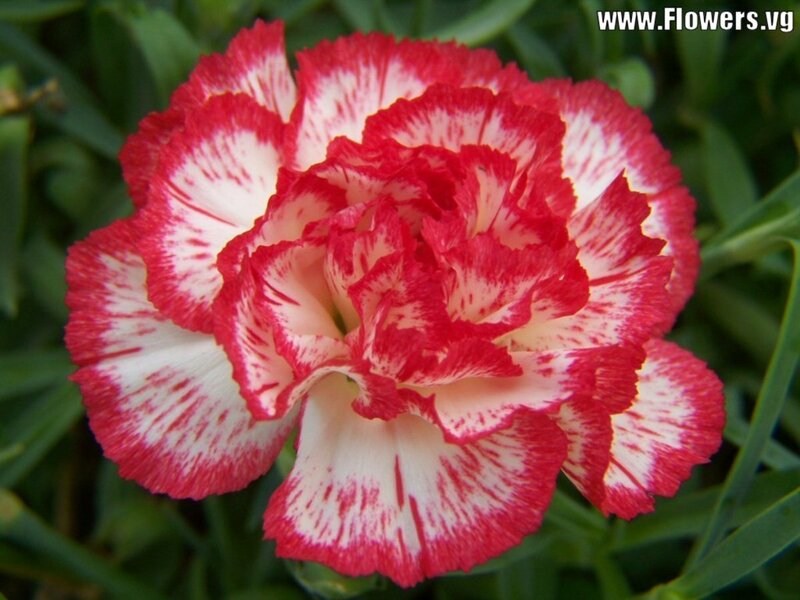 Individual Carnation flowers may be displayed by being floated in a decorative dish with fresh water. White Carnations can be 'colored' by adding food coloring to the vase water. They slowly drink up the dyes and gradually you'll see them change to the color that you have chosen. A fun transformation to see them develop their new coloration. 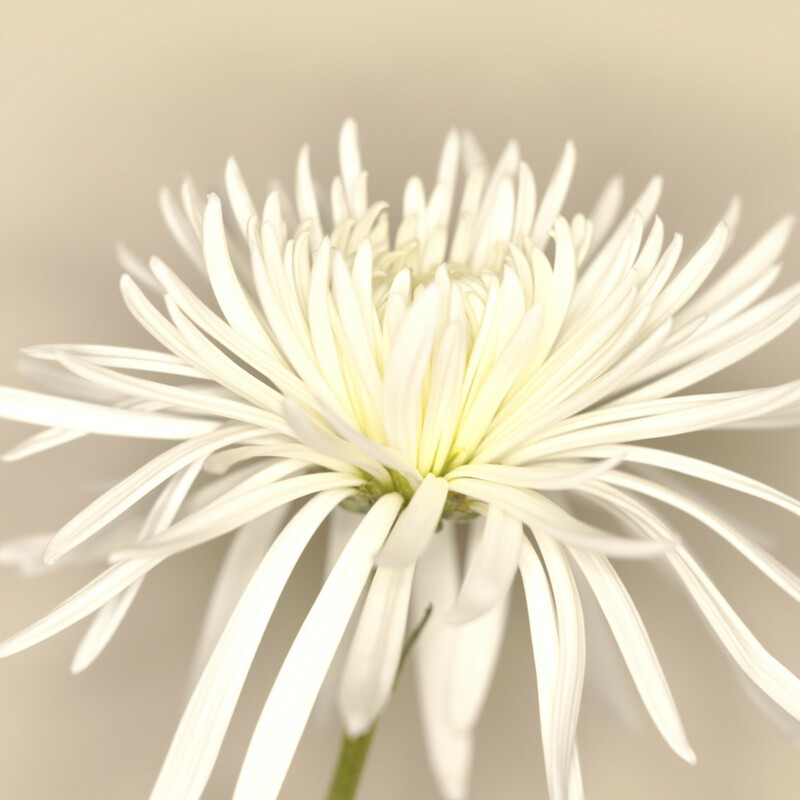 The Chrysanthemum ~ The vase life of a Chrysanthemum is 25 to 30 days. Of all the wonderful species listed here in this collection of popular cut flowers, the Chrysanthemum posseses the longest vase life of them all! Chrysanthemums reward consumers with the best value for dollar spent! TIP: They require clean water each day, and benefit from a trim of their stems each day as well. Try to get the longest stems possible; 25 to 30 days of stem trimming will not leave you with much size left for your bouquet. The Lily ~ The vase life of a Lily is 14 days. TIP: Remove the pollen pods to extend life and prevent staining. The 'powder' will stain your fingers when removing, so use gloves or paper towels and just pluck them off as the flowers begin to open. Pinching faded blossoms encourages re-blooming. Not all Lilies are overly fragrant. 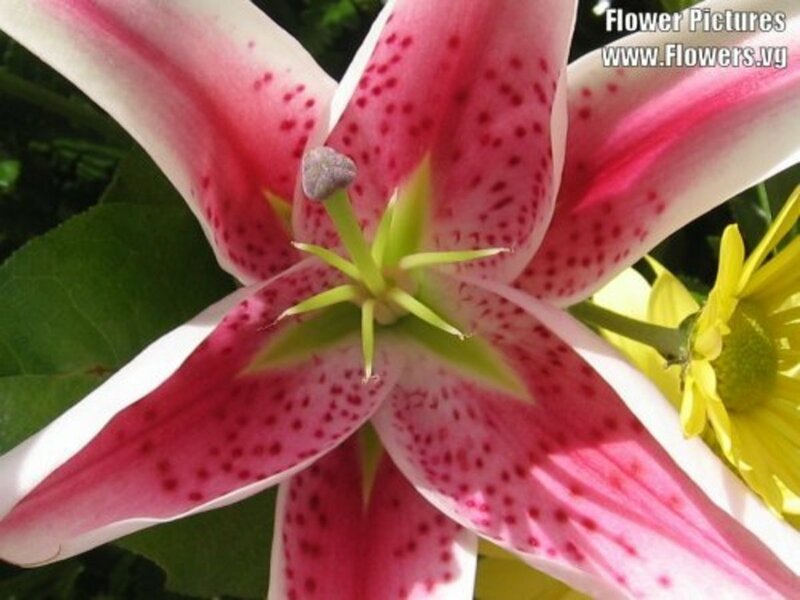 The Lily in the photograph is the 'Star Gazer' and has an amazing scent. Highly-scented Lilies like the 'Star Gazer' will create an 'aroma dome' in about a five foot radius eminating from the plant. The Gladiolas ~ The vase life of a Gladiolas is 14 days. TIP: Thin out and remove all of the fading flowers as they decline. This returns energy back to the stem and re-powers the stem to keep the existing flowers going strong. Gladiolas bloom from the bottom ~ up . . . so removing them does not have an unsightly impact. When the stem looks less that perfect due to pinching off spent flowers, float those individual blossoms in a decorative dish of water. When you get your new cut flowers home, place them in fresh water. Remove any covering they may be wrapped in. The original florist cut is now old and the flower may not be taking up the water that it needs to live. Cut about an inch off the bottom of the stem. Make your cut at an angle of about 45 degrees with a sharp, un-serrated knife. Cutting the stem at an angle allows the flower to absorb the water easier. Be sure to remove any foliage that will be in or submerged under the water. Foliage leaves and buds submerged under water will begin to rot and foul the water. Select a clean vase, preferably glass, durable plastic or ceramic types of vessels. Fill your vase with fresh, cool water. Cool water and home environment temperatures will help to prolong the life of your cut flowers. Mix into the water of your flower vase some type of flower preservative. Many florists provide a packet containing a powdered flower preservative that accompanies cut flower purchases. 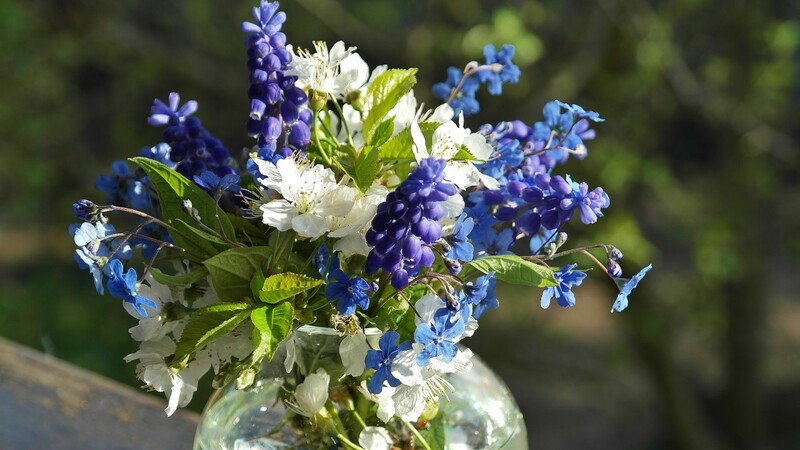 You may choose to make your own homemade flower preservative. Here is the recipe . . .
Now you are ready to make an arrangement from your awesome fresh cut flowers! Don’t overcrowd the vase by adding too many flowers to the bouquet. You don’t want it to look bunchy and unappealing. Make a second bouquet if your are limited by the volume that the first vase holds. Choose a good location. Locating your pretty bouquet of cut flowers in the proper place can help to extend the vase life of your flowers. Avoid direct sunlight! Indirect and bright light is best. 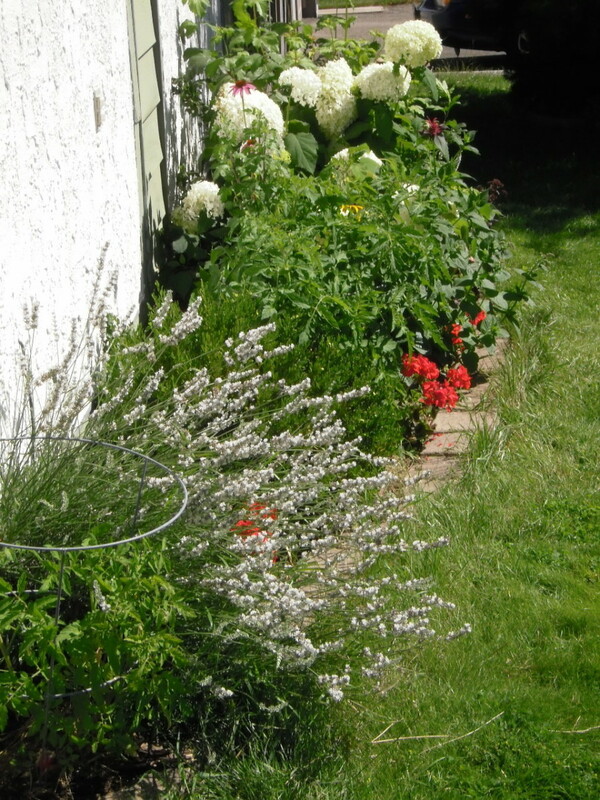 Protect them from exposure to extreme temperatures, particularly heat and draft. Your homemade flower preservative recipe seems a little weak, the UMass floriculture program recommends 2 tablespoons of lemon juice and 1 tablespoon of sugar per quart as a starting point and more sugar for some flowers e.g 2 tbsp of sugar for Lillies. Try following these simple steps. 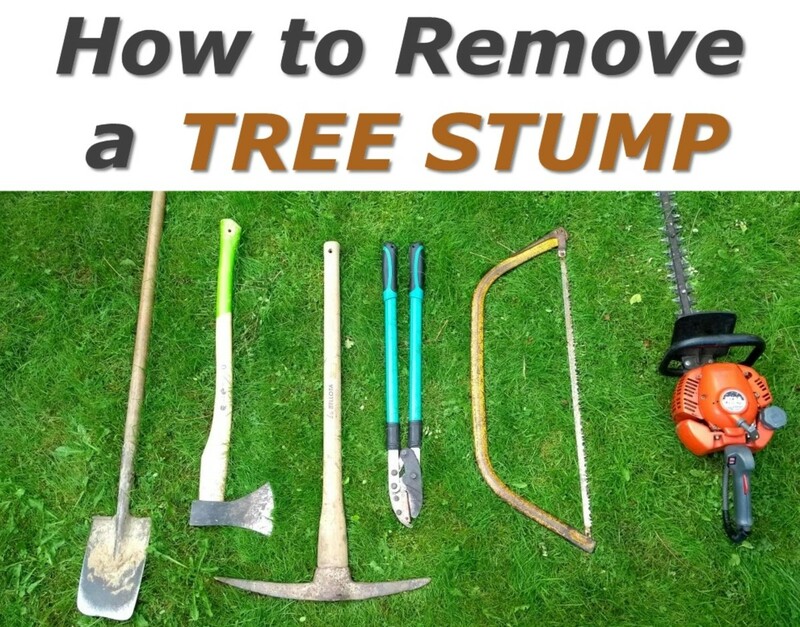 Use a clean, sharp blade and cut the stem as close to the base of the plant as possible to achieve the longest stem possible. Have a vase ready to receive the bouquet filled with clean, cool water. Fill a bucket or sink with cool, clean water and submerge the stems in the water and make another cut to the stems while they are submerged. The stems 'inhale' when cut so when they are under water, the 'breath' they take in is a drink of water thus eliminating an air bubble in the stem! Also, make your cut at an angle so when the trimmed stems are in the vase the angled cut allows for them to have access to the water (as opposed to being flat at the base of the vase and the blunt angle creating an obstruction to a good drink). Change your water daily, cut about 3/4 of an inch off the stem daily as well, keep out of direct sunlight and this will extend their vase life. How long do cut daisies last? I've managed to keep mine for about 2 weeks is that about right? Is there a way to make them last longer? what flowers once they have been dyed would be able to be submerged in water and what would the life expectancy be? Thank you for your comments ~ I appreciate you stopping by! Yes, Chrysanthemums have great staying power, and breeders keep improving them every year. What they may lack in fragrance ~ they make up for in beauty and variety! Thank you so much for coming by and leaving your comments ~ I appreciate it very much! It is nice of you to link our Hubs on cut flowers. I'll check it out when published. 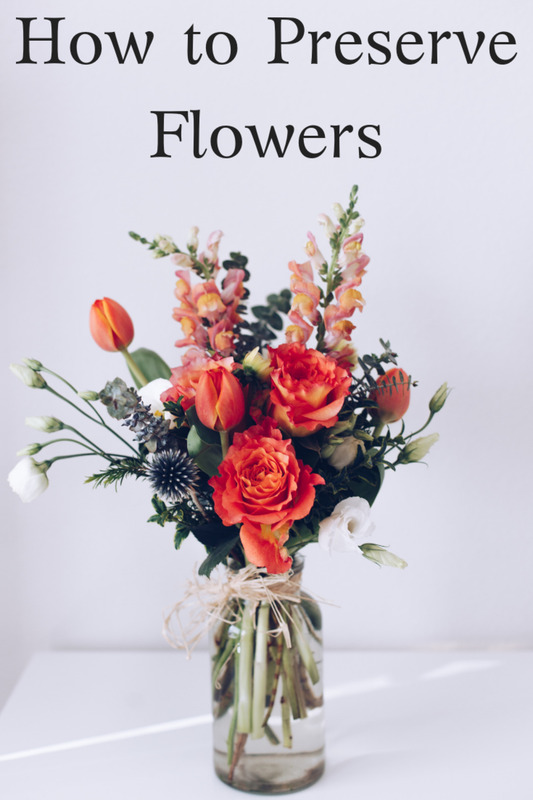 This is a very informative hub on the different varieties of cut flowers and some wonderful tips. The pictures are beautiful. I am including a link to this hub in my hub on "How to keep cut flowers fresh longer" to be published tommorrow. Thank you so much for visiting and leaving your comments ~ I appreciate it very much! Who does not enjoy a bouquet of fresh cut flowers? If there are sure-fire ways to extend their vase life . . . then I'm all for it! A super look at long lasting cut flowers and how to help them last in vases. Thanks for putting this together for us. So nice that you came by. I appreciate your comments ~ thank you very much. Thank you for sharing this useful hub and wonderful tips, I will be bookmarking, thanks again and voted up. Thanks so much for stopping by and leaving your comments ~ I appreciate it very much! Yes, Chrysanthemums last a wonderfully long time after being snipped from the plant. Plus, they come in so many forms; spider, pom-pom, two-toned and daisy to name a few. They sure are the 'bargin in the bin'! This is VERY useful information. I had no idea that mums would last so long in a vase. Thanks for all the details!